« Reduce speed a little. Save a lot. On Monday, March 14 we began our Total Immersion Open Water Experience in Kona, Hawaii. We spent this week teaching 25 adults how to fall in love with open water in Kailua Bay – site of the Ironman swim – and other locations along the Kona Coast. But just as important as the skills we teach is an attitude that applies to all of swimming but has perhaps its greatest transformational potential in open water. This attitude has been key to the boundless enjoyment I’ve gotten from open water swimming. Release the Head to a neutral position. Float a Weightless Arm forward with no bubbles and no hurry. Calm your Legs so they can “draft behind” your upper body. I demonstrated all three first, emphasizing that virtually nothing they see in my stroke today is “naturally occurring.” If they had seen me swim in college, it would have been like watching a different person. Indeed, a discerning observer would even notice significant increases in efficiency and relaxation today compared to when I entered my 50s, nine years ago . 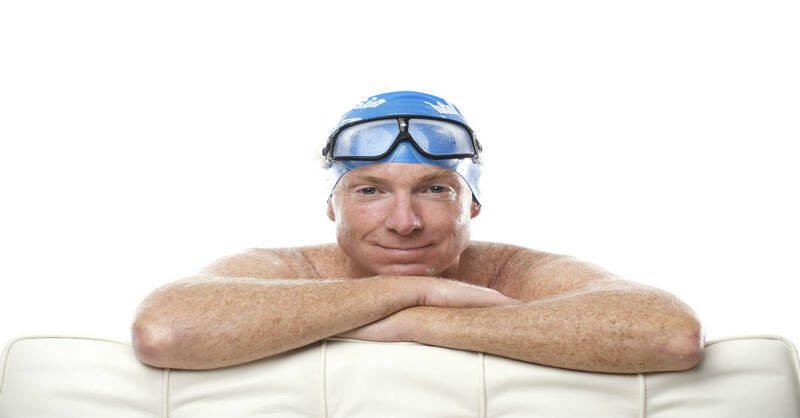 And therein lies a clue to the attitude that makes all the difference – I’ve never become complacent about my swimming; never felt that it was as good as it could or should be. That means I never swim for a workout, or to ‘get the yards in’ . . . or even to relax. Without exception, I practice to improve my swimming. Each time I enter the water, my explicit goal is to swim better than I ever have. I begin every repeat or pool length with a specific Stroke Thought intended to refine or imprint some aspect of skill more deeply. To illustrate this, I related an article published in Scientific American in August 2006, “The Expert Mind” by Philip Ross. Mr. Ross wrote about a comprehensive study of the mental strengths of chess players at or near the grandmaster level. Chess is often used for studies of how the brain works because relative mastery can be measured with unusual objectivity. A 2000-level player will beat a 1600-level player 75 percent of the time. And 2400-level players will beat 2000-level players with similar consistency. There are particular kinds of information-processing ability known to be critical in chess, for instance “chunking” the ability to organize dizzying amounts of what most people would see as disparate pieces of information – e.g. the arrangement of pieces on a board – into a much smaller number of more easily analyzed patterns or categories. Researchers were surprised to find no difference in inherent “brainpower” between 1600, 2000 and 24oo level players. So what accounted for the difference in their success or mastery of the game? Very simply, the players who reached the 1600 level, then stopped improving, did so because they felt they had reached their potential. The 2000-level players felt they were “good enough” when they attained that level. The 2400-level players had just never stopped striving to improve, never felt they were as good as they could be. This is perhaps the most valuable of all insights for any human swimmer because – given that humans are programmed by nature and evolution to be uncomfortable, awkward and massively inefficient swimmers (wasting 97 percent of energy, on average) that our improvement opportunities are literally without limit. This is why the Kaizen philosophy of incremental, but continuous, improvement is, more than any particular drill or technique, central to the spirit of Total Immersion Swimming. Excellent post as usual, Terry. (Although I have to admit that I do swim for relaxation). When working at Outward Bound, my all time favorite quote was, “We are capable of more than we think we are.” The neat part about that is that it remains true throughout life. Thanks Terry for the insights! I also believe that a man or woman knows not their strength till they meet adversity.